Do you know what’s Investment-Linked Plans (ILPs)? Whatever the case is, this plan can either help you to make your money work real hard and make you smile or totally dry up your money (suffer a loss) and leave you cursing (at the company or the Planner). thinking that this kind of plan is a pure Savings plan and the funds that they put in (monthly or lump sum) are 100% capital guaranteed which means that they will still get back their sum invested if no bonuses are given or the funds are not performing at all! 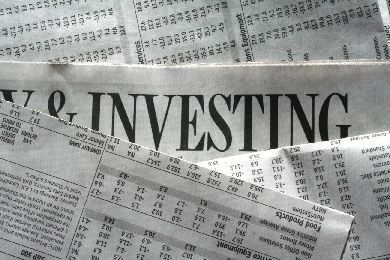 So Do You Know Really What You Are Investing? The commissions are very low – only $5 a month and there’s not much sales charges (wow!)! She’s into her one-year-plus anniversary for the plan and she had the intention to put more money (more than 80% of her monthly income) into this “savings account” and was asking for a Bank Statement through one of the Customer Service Officer (CSO). This CSO is a bit stunned and I was asked to explain everything to her on the nature of the plan. After doing a review for her, because on the declining economy and the investment funds, her $4500 savings is standing at a current value of $1500. After hearing this, she was stunned and loss of words! Next, tears fell like the pouring rain! Understood from her (having to calm her down and lower her raising voice)… This money was meant for her only Daughter’s future education and with such current cash value, if she does need the money now… she will be having a very big loss! She also said that the Planner had painted such a rosy picture of the plan that she cannot believe what I was saying. She has only been told of the positive benefits whereas all the negative aspects are written in the Proposal Form which she cannot fault the Planner (because she never read it as well)! To help people to understand better about the real nature of Investment-Linked Plans and to prevent such incidents from happening (though not really 100%), I will be dedicating this post to help you understand the positive and negative benefits of ILPs. You are usually buying into Unit Trust which may comprise of Equities-linked (potential high risk gives potential high returns) or Bonds-linked (generally linked to Government typed and is more secured). The typical nature of Equities and Bonds is like a See-Saw. If Equities do well, Bonds do not and vice-versa. This is usually the case but with current economy, we do see both Equities and Bonds behaving the same. You can go into ILPs either on a monthly mode (to enjoy dollar cost averaging) or a single lump sum mode (to enjoy buy at low and sell at high). You can always do a lump sum top-up (minimum sum required) or increase/decrease your monthly sum or stop totally to let the funds outpeform itself in long term (sales charges may apply). There is basically no lock-in investment period, e.g. sell everything or part of the units as long as you are comfortable with the profits. ILPs are very transparent in its transaction in terms of e.g. the sales charges, the mortality charges (how much of your premium is set aside for protection), the annual management charges, the bid-offer spread and advisory fee. ILPs give you freedom to do free switches (a certain amount) from funds to funds. This is especially good choice when your funds are not performing at all. ILPs do give a potential higher returns as compared to Endowment plans, Local Bank Saving Interest Rate and Fixed Deposits rate in a long run. Understand Your Commitments and Options. Please do so. Understand how long (the bare minimum) you really need to go into this plan to enjoy the benefits. If times are bad, what are your options (to switch or to top-up to cushion)? Understand What You Are Buying. Please ask your Planner what’s the Fund Holdings (company mixture) that you’ll be going into. Trust your Gut Feel and Observation, not by the hear-say of your Planner. Will you be comfortable with the performance of Holdings in the future? Understand all the Charges. There are some plans that will eat up most of your initial contribution. If you are investing in a short-term (especially), do understand how much charges you need to incur throughout the investment period. Will you be comfortable? Put everything in Writing. If you are a cautious person, ask the Planner to put everything in writing in front of you. You do not wish to have “added information” after you are gone. As most Planners are educated in a number of languages (Chinese/Malay/Tamil) on top of the commonly used English. Ask them for a copy of the proposal and be translated in your comfortable language. Planners are being paid so ask them for this service. In conclusion, Investment-Linked Plans (ILPs) are plans that will help you to make your money work real hard or totally dry up your money when economy is bad. Fully appreciate the performance of your ILPs by understanding the content, options, nature of your ILPs. Do not be shy to ask your Planner (he can be the niciest guy in the market) for a full understanding before commiting.